These days, real estate crowdfunding has become more popular. This is a great method of investing because investors have more chance to invest as what they can afford. They do not need huge investment from one investor but gather small amount of investment from the crowd. Since this method is online-based, you need to know how to choose the right real estate crowdfunding platform. The popularity of this method of investing keeps growing. As the result, there are lots of crowdfunding platforms. It makes investors harder to choose the right platform. Choosing the wrong one can risk your investment to waste. Find out if the platform function as listing service only or not. It is better to avoid platform that function only as listing service, instead, choose the site that acts as broker dealer. This is more trusted and promising for your real estate investment future. It is also recommended that you choose the site which has gained experiences in handling this type of investment. Investing money means you will be involved in the business for certain period of time. This is also what factor you need to consider when choosing the right real estate crowdfunding platform. Find out how long the platform you are going to choose will be around. A platform with solid venture capital banking is recommended to select instead of the unsteady one. By choosing solid platform, you will be more secured with your investment especially when you take equity investment where it usually takes 5 to 10 years. 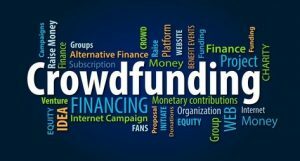 Find out what kind of approach they use in the crowdfunding investment. As mentioned above that each platform may have different approach in this matter. This cannot be taken lightly. Instead, you need to do thorough research. If their approach and method fits your needs then you will be more certain and safer to invest your money. Each crowdfunding platform also conducts its own due diligence. This relates to documentation. This is important to consider because it is about important deals. Find out how the platform collects the documentation from investors for potential deals. For example, find out if they ask for companies to provide liabilities or indemnities. This is very important for investor or reassurance. The quality of customer service provided by the platform also needs to be included into consideration when you select for the right real estate crowdfunding platform. Somewhere along the time of your investing, you will have many questions to ask. If the person on the other line is not comfortable to talk with, it is better to search for another platform which can provide quality customer service.